Lee County School District runs a 1,000 participant The Outbreak challenge and sees 87% completion rate to go along with $606 per participant financial risk reduction and 7:1 ROI. In October of 2017, Lee County Schools purchased a 6-week Outbreak challenge with the condition that a follow up ROI analysis be conducted. After completing their Outbreak challenge, Lee County Schools conducted a thorough analysis of the health expense risk reduction as it related to formerly inactive employees becoming active as a result of the program using ROI methodologies adopted by Blue Cross and originally published in Ron Z. Goetzel’s 2012 study: Ten Modifiable Health Risk Factors Are Linked To More Than One-Fifth Of Employer-Employee Health Care Spending. The results of the ROI analysis showed a 7:1 ROI with a cost savings of $132,108 for a 1,000 person Outbreak Challenge. Lee County Public Schools is the 9th largest school district in Florida, and 33rd largest nationally, educating over 90,000 students with a staff of over 10,000. They have a robust employee wellness initiative that ranges from financial wellness, to education, to nutrition and activity challenges. While Lee County Schools already had an existing provider for health challenges, their existing platform was not meeting their needs. While their existing platform allowed the wellness team to create and administer challenges, the platform was described to us as difficult to understand, very hands-on and time intensive, requiring extensive technical knowhow, and “nickel and diming” for support (including a mandatory $6,000+ training on the software). For these reasons Lee County Schools chose to seek out a new, cost effective solution for an engaging fitness product that can scale, incentivise, and deliver an effective experience without requiring too much hands-on work to administer. Lee County Schools reviewed numerous health challenge platforms, and ultimately decided on The Outbreak because the pricing was economical, the extensive reporting was attractive, plug-and-play support for fitness trackers was included at no additional cost, support was included, and the stakeholders understood the addictive qualities of a game-based solution. – The challenge ran from October 9th, 2017 through November 17th, 2017. – The pricing allowed Lee County to book out spots for 10% of their employee population, as opposed to the approximately 3% for other internal programs. – 87% of the employees were active throughout the 6 weeks and completed the program. 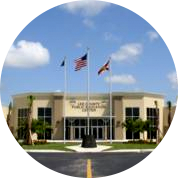 – As a 10,000+ person employer, Lee County paid $18.95 per participant, for a total of $18,950. Within Lee County Schools, 25% of the population is self-assessed as inactive. Using this figure as a baseline and combining with the 87% completion rate it was estimated that 218 participants transitioned from inactive to active. Based on Ron Z. Goetzel’s 2012 study: Ten Modifiable Health Risk Factors Are Linked To More Than One-Fifth Of Employer-Employee Health Care Spending, the financial risk of a physically inactive employee is an additional $606 per year. This figure, applied to the 218 participants who transitioned from inactive to active, created a financial risk reduction of $132,108 (218 x $606). Applied against the challenge cost of $18,950 yielded a 6.97 return on the investment, or a 7:1 ROI. Lee County’s target ROI is 3:1. Lee County’s future returns with The Outbreak will be even greater, given that the one time set up fee has been paid. Future challenges will have an 8.28:1 return on investment. In addition to 7:1 ROI, the client noted several areas of non-financial benefits for their Outbreak challenge. Pricing for The Outbreak was comparatively less expensive than many of Lee County Schools’ other wellness initiatives, allowing them to purchase services for a greater portion of their population, reaching 10% of their 10,000 employees, as opposed to 3% for other programs. The game-based design of The Outbreak proved a good fit for the employee base, who used the entire allotment of 1,000 purchased challenge spots. – The Outbreak drew greater-than-historical participation from Lee County Schools’ C-Suite executives, driving employee engagement and satisfaction. – Employees who developed healthy behaviors during The Outbreak (such as early morning walking groups) continue to engage in the healthy behaviors months after the challenge has ended. – The Outbreak facilitated employees interacting with coworkers and executives outside of their immediate team, fostering team-building.